Digital Debt Collection May Eliminate Debt Harassment | The Consumer Law Group, P.C. 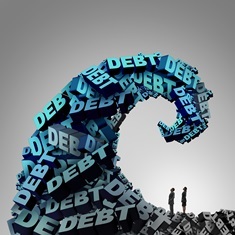 It should come as no surprise that the debt collection industry is exploring options to go digital with debt negotiation and collection. After all, there isn’t much we can’t handle through email and website interaction these days. While it may seem like a passive and impersonal way to collect debt, it could eliminate many of the complaints people often have about debt collection. Under the Fair Debt Collection Practice Act, debt collectors are barred from certain tactics, most of which relate to phone calls and home visits. Going digital not only protects consumers from harassment, but also protects businesses collecting debt from violations by employees. Any time there is human interaction, there is the potential for frustration and misunderstanding. This doesn’t happen with a computer. Providers determine the best way to contact consumers and offer options for resolving the debt quickly and easily. If the agency trying to resolve a past-due payment from you has not yet gone digital, you may face harassment and other illegal tactics. If you are continuing to receive phone calls after asking that they stop, have been threatened over the phone, or have had your employer or family members contacted by a debt collector, you may be able to take legal action to stop the harassment and collect damages. Contact us through the link on this page to find out if we can help.